In the '90s, black comedies on television were prevalent -- or at least more prevalent than they are today. With series like "The Fresh Prince Of Bel-Air," "The Cosby Show" and "Family Matters," there were multiple places to see these stories being told. Today, there is "Black-ish." 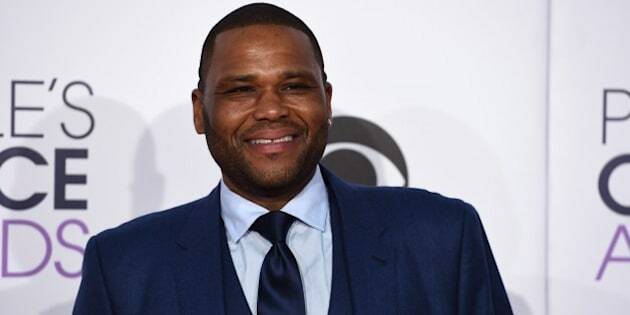 "I applaud ABC and (entertainment president) Paul Lee for giving us the opportunity to tell these stories from our perspective," "Black-ish" star Anthony Anderson told HuffPost Canada TV during the 2015 Television Critics Association Winter Press Tour. "These are stories we all go through and we all live, but we get to tell it from our perspective. So I applaud them for taking the stand and championing our show and our title, and getting behind putting minorities back on network television." The series is one of several on ABC right now showcasing minorities through comedy. Friday nights features Hispanic laffer "Cristela," while Tuesday nights will soon feature Asian-Americans with the debut of "Fresh Off The Boat." Neither of those series faced the criticism "Black-ish" did when it premiered, all thanks to the title. "We got our backlash and I understand why we got it, but it was given without content and taken out of context," Anderson said. "Once the show premiered and the controversy, so to speak, over the title, was put to rest. Not that that was a huge hurdle, but it was a hurdle for us." The star continued that for incoming series "Fresh Off the Boat," the controversy over the title won't be nearly as great. "'Fresh Off The Boat,' now that's pretty explanatory," he continued. "I don't think they'll have the problems they had with their title that we had with ours. We get it. Immigrants. Fresh off the boat. Coming into America wanting to make a new change. 'Fresh Off The Boat' could have been the title for our show and it wouldn't have been a problem, I don't think ... maybe it might have been a problem. That boat ride that we had originally ... that might have caused a little bit of controversy too!" Now that said controversy is over and "Black-ish" has secured a full season pick-up, Anderson is just looking forward to telling more family stories, working with some of the upcoming top-secret guest stars --"That's the exciting part, being on the show that everybody wants to be a part of!" -- and aiming for a Season 2 renewal. Come pilot season, Anderson isn't sure how many comedies featuring black families or leading characters will roll around, but he's confident that "Black-ish" is blazing the trail once again. "The biggest compliment that anyone can get and what we've gotten so far, is that people are out there looking for their 'Black-ish' show," Anderson said. "That's exciting to hear. Just like the generation before our show opened the door for us, we're opening the door for the next generation of shows to come. And with the success of shows like 'Cristela,' 'Black-ish' and 'Fresh Off The Boat,' that only makes it easier for the next crop to come through." Does that mean Anderson is feeling the pressure? "No, no, no pressure! It's not rocket science, we're just here having fun!" Black-ish airs Wednesdays at 9:30 pm. ET on City and ABC.